In Christ we have justification given to us as a gift. You do not earn a gift. 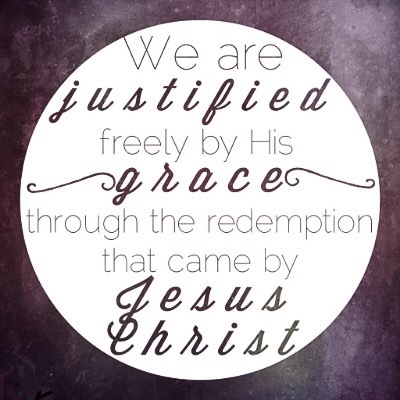 Justified means you have been “Declared Righteous” (right with God), because you have been redeemed. Jesus purchased this gift for you. You don’t try to get right with God you already are because of what Christ has done for you. It is because of justification you now have the right to all that Christ has provided for you. We don’t receive what Christ has provided for us because we have earned it, but because we have been made right with God. So just as you receive salvation by faith in Christ and what He has done for you, so do you also receive all that He has provided. For all who are born again have become the righteousness of God and through your right standing with Him you receive what God has for you.